This must be one confused little pup. He thought at one time he was a dog, now he is being told that he is a money...that flies! What!? He is totally confused, but cute nonetheless! 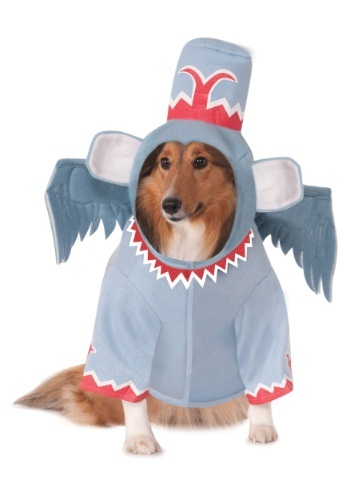 Turn your doggie into one of your little flying henchman with this Flying Monkey Pet Costume. In the Land of Oz there are some creatures that are fly though the night causing mischief. These feared critters work for the Wicked Witch of the West and they are not to be messed with. So when you're walking through the forests of Oz and you hear something flying towards you run as fast as you can because it means a flying monkey on your trail. 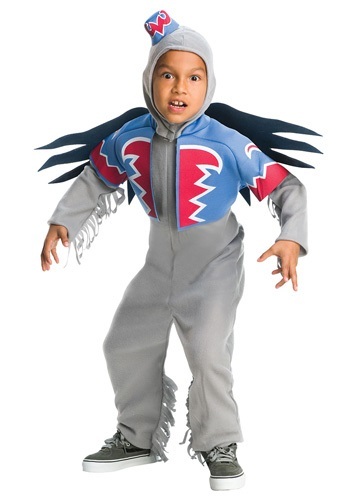 This child size costume is perfect for Halloween or a Wizard of Oz party. 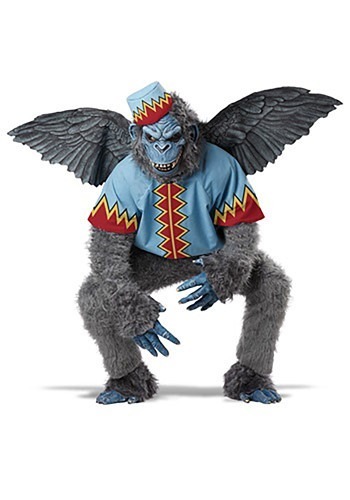 You won't be off to see the wizard once you're inside this Scary Winged Monkey Costume. This costume is a great way to frightened pesky trick or treaters. For a unique couple's duo, pair the costume with one of our Green Witch costumes! Ever wonder why the witch uses monkeys to do her dirty work? It's probably because they're adorable, and the little guy in this winged monkey costume is proof of that. Even if he was going to take you back to his master, you'd probably happily go along with him because he looks so cute and sweet. When this pup wants a walk, you better give him one. If this pup wants a bone, you better give him one! You know why? He's got some magical powers just like the Wicked Witch of the West... or maybe he's just dressed like her... it's hard to tell! Make your dog a little wicked with this Wicked Witch of the West Pet Costume!